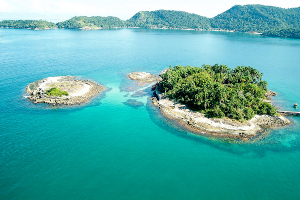 130km south of Rio lies the gorgeous paradise town of Angra dos Reis. The spectacular views of mountains covered in lush green rain forest and quiet coves with white sandy beaches are abundant – making this trip a spectacular occasion. The cruise itself picks visitors up from the dock and takes them on a stunning journey to many islands, with stops along the way to swim in the crystal clear waters. This once in a lifetime trip begins with a journey to the Cosme Velho Train station which is located right at the bottom of the famous Corcovado Mountain. 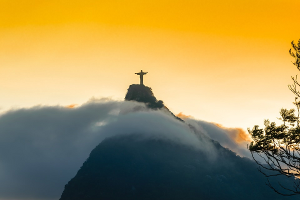 From this point, visitors begin the ride all the way to the top, through the dense Tijuca rain forest, all the way to the huge 125ft tall Christ Redeemer Statue. Visitors are welcomed by amazing panoramic views of Rio, where you can stay for around an hour to take photos and soak up the breathtaking atmostphere. The city of Petropolis is located 60 km away from Rio and has been called the Imperial City since the times of the Emperor Pedro II. 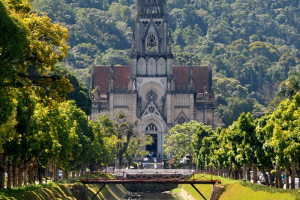 Petropolis keeps the memory of Brazilian history alive with its buildings and charming streets. Make the best out of your stay in Rio and buy your discount tours & tickets at Ticketbar!